For the past two plus years, Washington Bikes has spearheaded the effort to create the US Bicycle Route System in our state. Partnered with WSDOT, we successfully received national designation earlier this year for our first interstate route—USBR 10—and a ribbon-cutting ceremony was held on September 14 in Anacortes to officially open the route. 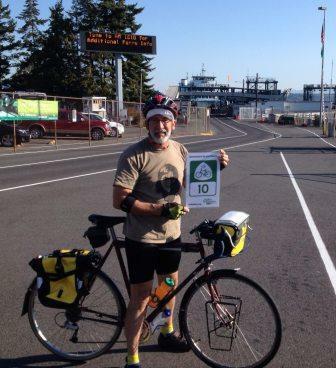 John’s journey began at the ferry terminal in Anacortes. 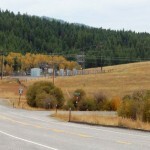 This is the western terminus of USBR 10 and it allows the bike traveler to continue westward to the San Juan Islands and Canada’s Vancouver Island. He meandered alongside the Skagit River his first day, passing through communities like Sedro Woolley and Concrete along the way. He was joined by members of Skagit Bicycle Club for part of the day, then rode for awhile with a solo touring cyclist who was on his way to Winthrop. 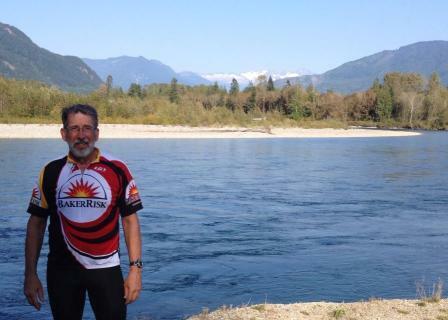 After overcoming leg cramps at Rockport, John pedaled onward into the majestic North Cascades National Park. He called it a day at Newhalem Campground, one of three national park campgrounds along USBR 10 as it passes through North Cascades. John’s wife Michele is traveling with him on this adventure in their RV and providing vehicle and moral support, and providing us with the photos. She reported that scenery along USBR 10 has been stunning and they are looking forward to Day Two! Day One stats: 87 miles traveled on mostly flat terrain. For additional information about USBR 10, including a map, visit our USBR 10 page. 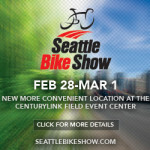 Visit Adventure Cycling Association to learn more about the nationwide effort to develop the US Bicycle Route System. 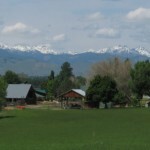 This article was posted in Adventure, Rides, Tourism, Travel, USBRS and tagged bike tourism, bike travel, usbr 10, usbrs. Bookmark the permalink. Follow comments with the RSS feed for this post. Both comments and trackbacks are closed.